So remember that time I was going to run a 10K and then totally chickened out? Then there was that other time when I accidentally registered for a 5-miler instead of a 5K, but got through it without dying? Well, my friends, two nights ago I clicked a pretty little PAY NOW button and officially registered for my first-ever 10K road race. When: Saturday, March 24th… a mere 5 and a half weeks away. But at a $10 student race fee, I couldn’t turn it down. Plus, the prospect of some sweet race swag had me giving them those ten dollars even faster. I can’t say no to free stuff, especially when it has to do with running (or dance.) 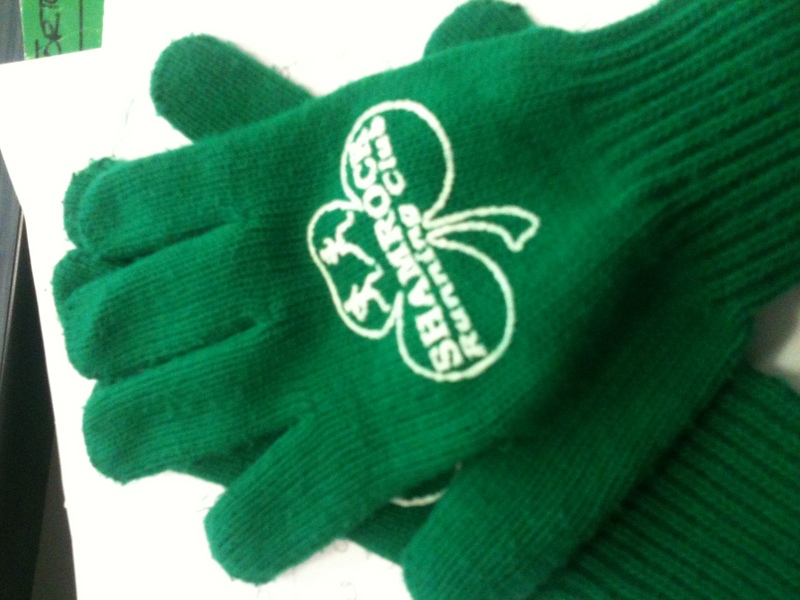 The awesome bright green gloves I got from that 5-miler say “Shamrock Running Club” on them and I won’t lie – I love wearing them. I feel like a runner or something. I may or may not wear these everyday. So where does that leave me training-wise? Well, I’ve got the 5-miler and a few 5Ks under my belt so I already know I can complete the extra 1.2 miles without dying. Will I enjoy it? Probably not at the time, but I’ll do it. 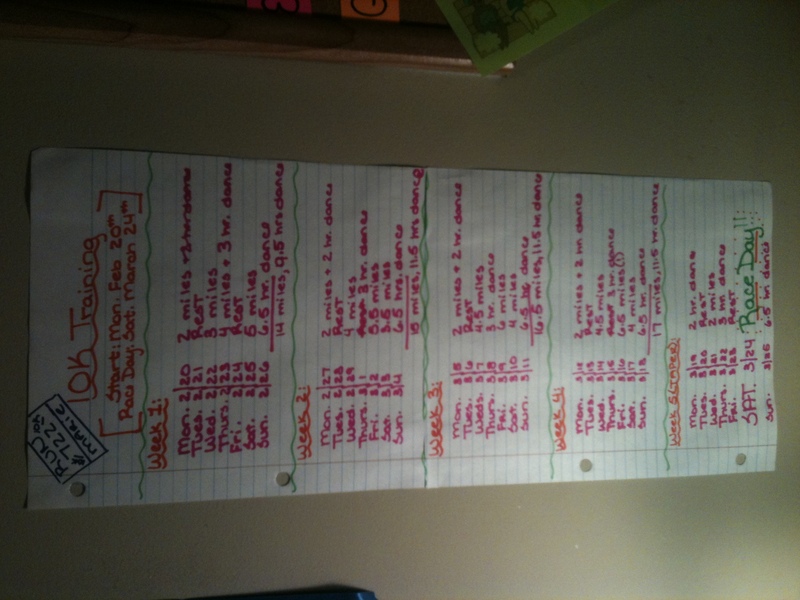 Since I kept putting off registering, I now find myself with only 5 weeks to formally train along with a full course schedule, TA-ing and 12 hours a week of dance (oh, did I mention that even after dropping Wednesday night at DanceWorks, I somehow managed to add an additional 4 hours of dance a week? I didn’t mention that? More about that in a different post…. ), it leaves little wiggle room for hours of running. So I found a plan that fits just right. I can totally handle this.... right? But let’s be real here… I need some advice. I want to know…. 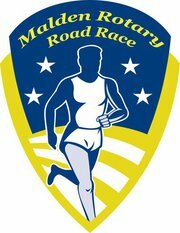 what advice do you have for me as I train for my first 10k? What works best for you when you train? What should I wear (keep in mind, the race is at the end of March). Share your 10K stories! Any and all advice is appreciated! I think 10K is my favorite race distance, so I hope you enjoy it as well! My training tip is to actually make sure you get enough rest. You’ll build your endurance with cross-training too, so just make sure to listen to your body and don’t over-exhert yourself. When I trained for my half, I was just running 3 times a week (but I am injury prone, and everyone is different). Oh, and also, stretch well after each run! Good luck! Thanks Bianca! Getting more sleep is definitely on the 10K to-do list! You will do great on your first 10k! When I ran my first, I made sure to go out at a reasonable pace so that I wouldn’t die by the end. Unfortunately, that didn’t happen. 😛 For training, speed workouts are great, but getting in the distance on the weekends works great too! I’ve only ran two 10k’s, so I don’t have a whole lot of training ideas. My next one is in June! Hopefully we can get together for that coffee! I always go out way too fast and want to die a mile in! And yes, coffee, yes! !